The 'medieval' castle was designed by E.J. Lennox for Sir Henry Pellatt - with electricity and a telephone exchange. The stone for the outer wall came from Scotland and 'casa' is Italian for house. It became known as Pellatt's Folly after his death. The Victorian garden he built was like illustrations of nineteenth century English castle gardens and required a small army of gardeners. 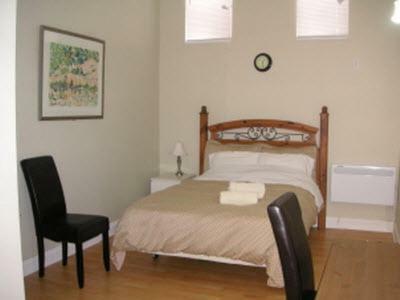 The bedding has been partly restored and some new theme gardens have been made in the Casa Loma Gardens. We invite you to explore the spectacular grounds of Toronto's premier historic landmark, Casa Loma. The Gardens of Casa Loma portray a wide variety of specialty garden areas in a unique and balanced setting. The formality and elegance of the perennial borders provide a distinct contrast to the vibrant show of spring wildflowers. Artistic displays of annuals find strength in their colour schemes while the many flowering shrubs and trees provide an impressive array of foliage, texture and form. The ever-changing colours of this brilliant floral mosaic allow visitors to enjoy the beauty of the Casa Loma Gardens all season long. The original Gardens of Casa Loma once occupied a portion of land located on the north side of Austin Terrace. 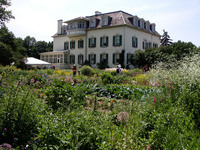 The gardens were modeled after an English Gentlemen's Garden containing a series of parterres with gravel paths, vegetable gardens, flowers and fruit trees. A greenhouse complex featuring a potting shed and conservatory served as a work area for a staff of three gardeners who tended to the magnificent grounds. Unfortunately, with the demise of Sir Henry's financial resources much of the original land had to be sold and eventually he was forced to leave his dream castle. With the passing of time, the original gardens succumbed to the forces of nature. 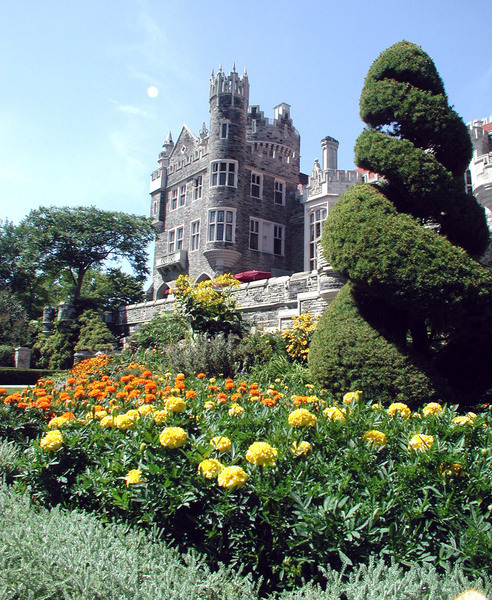 In 1987, the Kiwanis Club of Casa Loma approached The Garden Club of Toronto with the interesting prospect of renovating the existing grounds of Casa Loma. 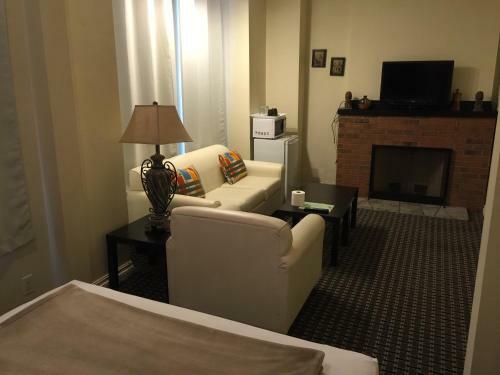 An agreement was reached between the Kiwanis Club, The Garden Club and the City of Toronto that would provide the massive renovation of five acres of Casa Loma property. The project was not intended to be a historical restoration of the gardens as natural changes in the vegetation of the area made this impossible. 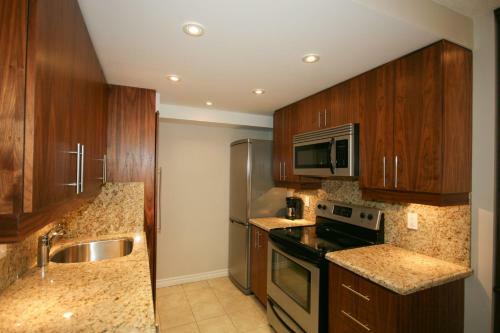 The new garden was designed as a series of specialty garden areas, taking into account specific site conditions. In an effort to retain as much historical significance as possible, certain elements of the original gardens have been incorporated into the new design. For example, Sir Henry's two stone stairways at the east and west ends of the property were rebuilt using the original stone. Also, the original carriageway that winds up the hill from the Davenport Road gates was cleared and converted into a pleasant, shady path. 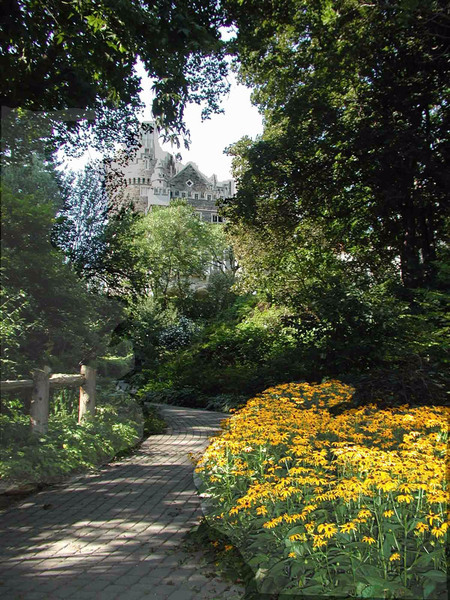 The renovation of the Gardens at Toronto's historic Casa Loma, undertaken by The Garden Club of Toronto, was a five year project begun in 1987 at a cost of $1.5 million dollars. Funding from The Garden Club of Toronto, The Kiwanis Club of Casa Loma, corporations, foundations, individuals and government created a setting fit for a castle. In 1990, the Gardens were officially opened. 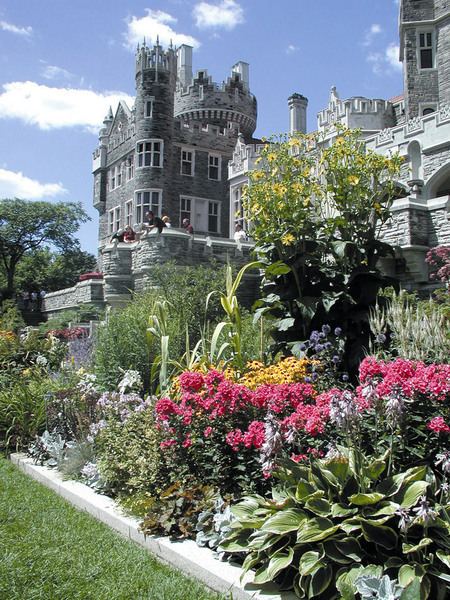 Today, the Gardens are operated and maintained by the Casa Loma gardening staff. Where in downtown Toronto can you see hundreds of roses in bloom from June to October, rare native wildflowers, a dell planted with colourful rhododendrons and azaleas and old-fashioned perennial borders? 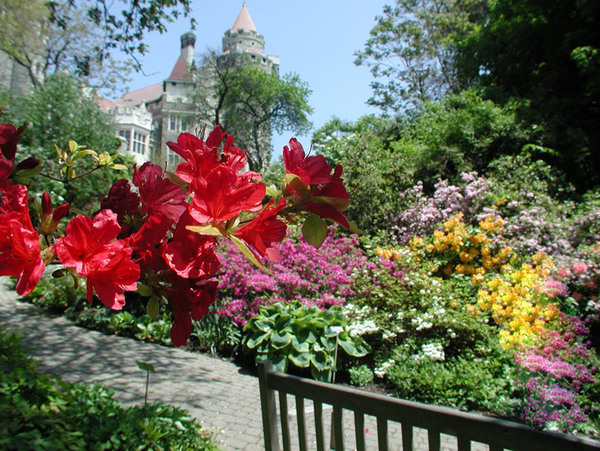 All in one magnificent garden at Canada's most famous castle - Casa Loma! 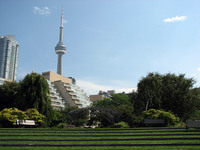 The Casa Loma Gardens consist of over four acres of specialty garden areas on an escarpment overlooking downtown Toronto. The original grounds associated with Casa Loma had been taken over by the forces of nature after Sir Henry Pellatt was forced to leave his dream castle. In 1986, a joint venture between The Garden Club of Toronto, the Kiwanis Club of Casa Loma and the City of Toronto sought to renovate the grounds to their former glory. 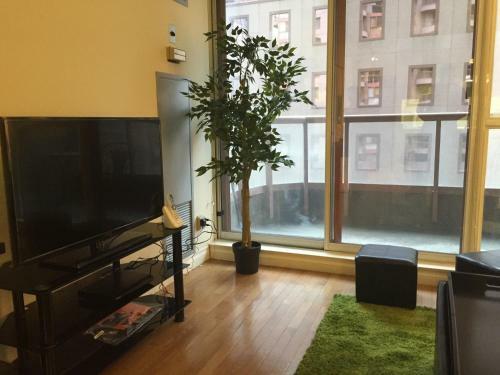 The $1.5 million dollar project resulted in breathtaking gardens like no other in the city. 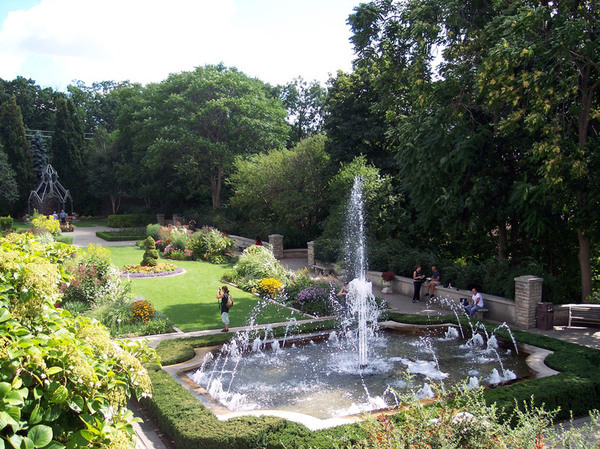 The Casa Loma Gardens are maintained and funded by the Kiwanis Club of Casa Loma. If you are starting your own garden or looking for new ideas and techniques, consider a Garden Pass for the garden season. Return throughout the season and explore our spectacular horticultural displays as they reflect the changing colours of the Canadian seasons. A garden pass is $15.00 (including all taxes) and is valid for 10 individual admissions to the Casa Loma Gardens (pass does not include admission to the estate buildings). Bring a friend and enjoy dancing fountains, unusual sculpture and a rainbow of dazzling colour. •West Staircase: Woodland wildflower walk; from mid-April to end of May; trillium, hepatica, mertensia, jack-in-pulpit. See how to utilize woodland plants in shady areas. •Woodland Walk: South slope is covered in naturalized narcissus and daffodils; paths edged in bergenia, epidmediums, vinca. •Rhododendron Dell: Our microclimate brings early rhodo’s into bloom in the end of April/early May; Rhododendron primroses, doronicum, fritillarias, anemone nemrosa. •Front Courtyard: Tulips & other spring bulbs. •June is the month for roses: we have over 75 varieties of roses. Excellent collection of old fashioned roses, formal beds of floribunda types, Austin Roses; walk through the Rose Arbour into the Secret Garden covered with hardy climbing roses. Don’t miss the Casa Loma Rose on the Lower Terrace. 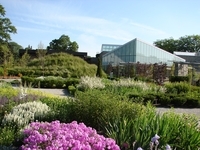 •Lower Terrace: Perennial beds start their early summer bloom; delphiniums, iris, campanula, coral bells, late tulips. •Rhododendron Dell: Really at its glory during June; large leafed types in bloom as well as deciduous azaleas; flowering dogwoods, lilacs, mock-orange, spirea are all in bloom now. •Secret Garden: Peonies, scabiosa, salvia, deutzia, dianthus, geraniums, and, of course, roses in profusion. •Front Courtyard & Upper Terrace: Containers with annuals should be starting to fill in and showing lots of colour. •Rhododendron Dell: Mass plantings of astilbes bloom in succession all month long - feathery plumes create a sea of pink, white & red; paths edged with rare hostas and other shade loving plants. 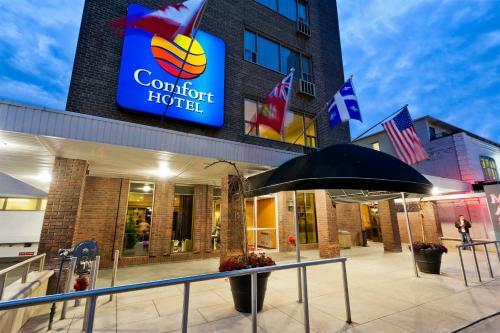 •Rest in the cool shade of the maples and enjoy the soothing sounds of the waterfall by our lily pond; pond edge hosts many marginal plants such as ligularia, iris, peltiphyllum, calla, and lobelia; also is the home of our resident turtle, Henry. •Lower Terrace: Perennial beds peak in late July/early August; daylilies, pholox, yarrow and many other hardy perennials create a tapestry of colour amongst fountains and formal annual beds. 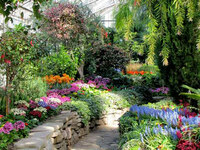 •Secret Garden & Lower Terrace: Late blooming perennials; coneflowers, asters, sedums, perennial hibiscus. •Front Courtyard, Secret Garden, Rhododendron Dell: Roses have a second flush of bloom with cooler night temperatures. •Woodland Walk: Ornamental grasses begin to flower. •Meadow Garden: Prairie and meadow species are fully developed. •Secret Garden, Lower Terrace & containers: Fall mum display. •Secret Garden: Autumn colours in late September start with scorching reds (Burning bush), brilliant yellows (Katsura tree) and flaming orange of amur Maples. •Lower Terrace: beds liven up with hydrangeas, ornamental grasses, boltonia, fall asters. •Rhododendron Dell: showing fall colours of many rare native trees and shrubs. •Front Courtyard: roses and annual beds are in their final glory before the first frost. •Woodland Walk: muted autumn light shows off browns, golds and silver of ornamental grasses. •Displays of ornamental cabbages with chrysanthemums. 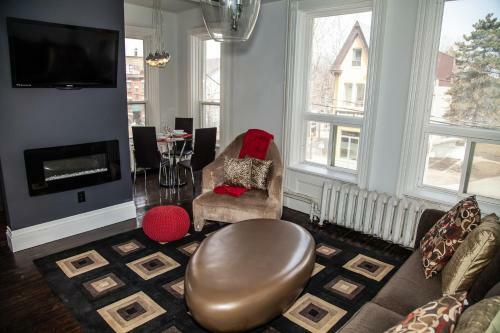 •East Stair: reds and bronzes of oaks and sumacs. Opening times May to October. Daily. Open 9:30am to 5pm.